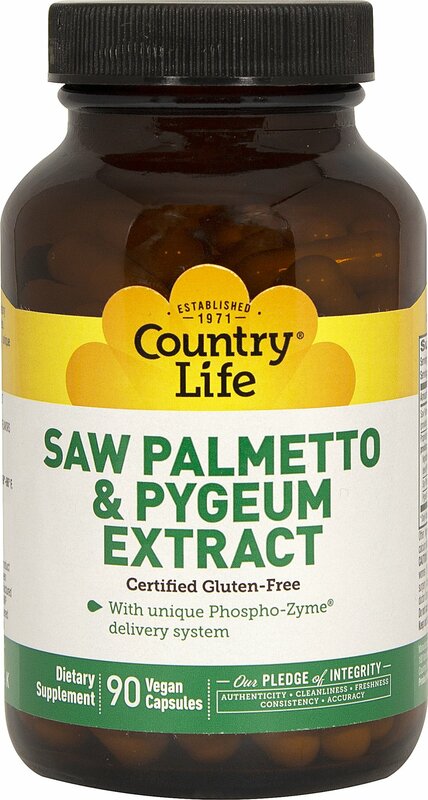 Country Life's Saw Palmetto and Pygeum Extract contains 170 mg of saw palmetto, serenoa repens extract oil, as well as 344 mg of our proprietary blend of phytosterols, pygeum extract and soy phosphatides. 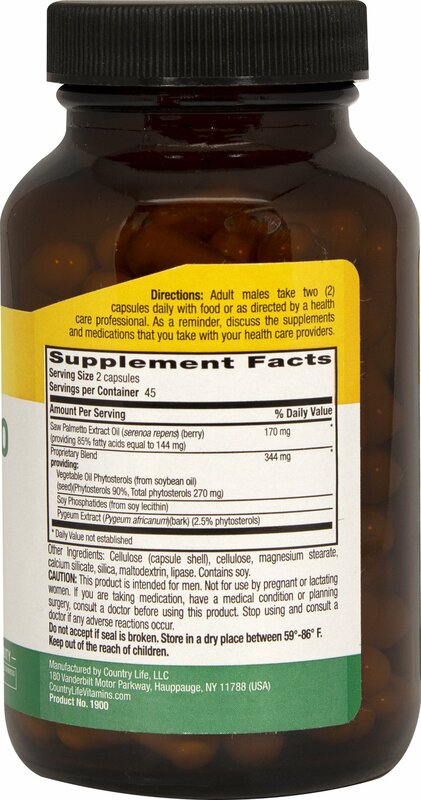 Saw Palmetto & Pygeum Extract uses Country Life's unique Phospho-Zyme® delivery system. Gluten Free. Vegan. Kosher. No wheat, milk, salt, preservatives, artificial colors, flavors or sweeteners.